THE BEST WAYS TO INCORPORATE TASSELS IN YOUR INTERIOR AND FASHION! Tis the season for parties, presents, and TASSELS! As the resident prepster, tassels have been in my life since birth but in design, they did take a backseat for a bit when the minimalistic style was on the rage. Don’t get me wrong, there is such thing as too much tassel but hopefully with my help you will be able to incorporate tassels into your decor, wardrobe, and life. When adding tassels into your home, an understated tassel used as a trim to a pillow is the way to go. One of our favorite trim companies, Samuel & Son’s makes a leather tassel from their Toscana Collection that is TO DIE FOR. I would put it simply on a single corner of a pillow. I found Maynest on Etsy.com that makes these gorgeous leather pillows with tassel accents. A perfectly placed tassel can be cherry on top of a beautiful piece like the Ro Sham Beaux Malibu 30 chandelier. Tassels do not have to be design accents, they can be the goal. This Kelly Wearstler Strada Small Chandelier for Circa Lighting. Looks like a gold tassel. I would used multiples of these lights over a large kitchen island. Let’s move onto an important place that tassels need to be… YOUR CLOSET! I found this simple faux suede & metal tassel necklace from J.Crew Factory on Black Friday and it is perfect for almost any outfit. And let’s not forget where I wear my tassels most, on my shoes!! The classic loafer is coming in every color and finish this season. And throw a tassel on top and this girl is going to rock it! 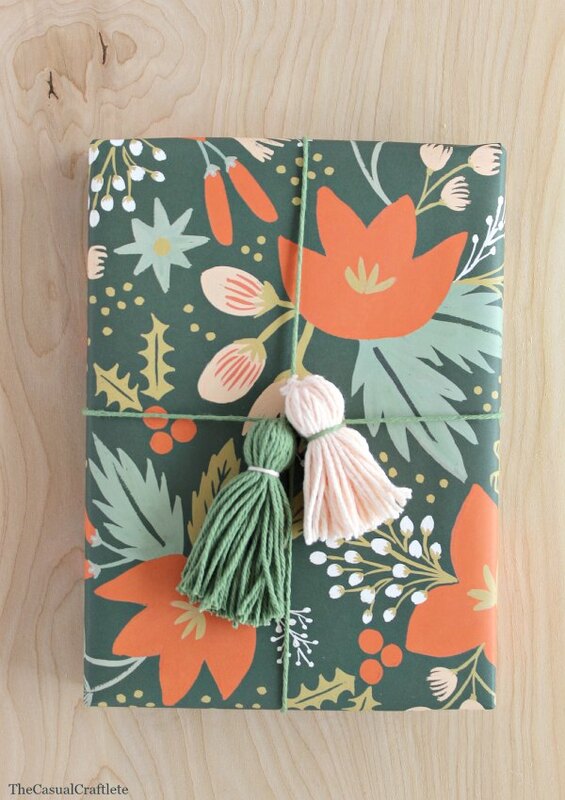 One last place to always put a tassel on it, is your holiday gift wrapping! Yarn tassels are an easy, inexpensive way to top your gifts. Check out this fabulous blog for DIY tassels to jazz up your gift wrapping! Give tassels a shot, you will thank me later!